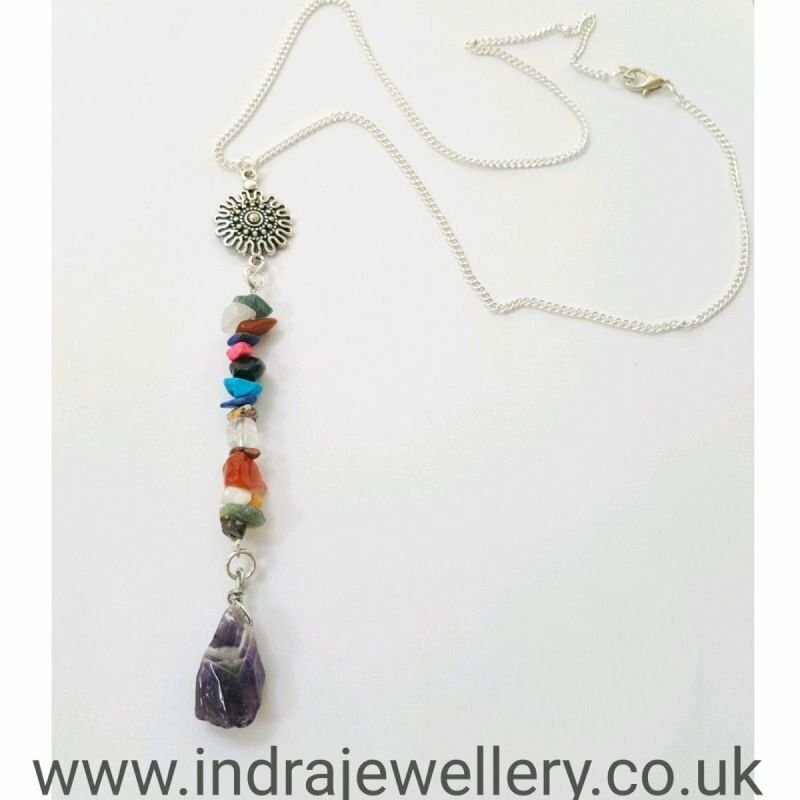 This is a very pretty mixed gemstone chip pendant necklace. The pendant is long, measuring 4.5" from top to bottom and consists of mixed gemstone chips with a wire wrapped striped amythest cyrystal on the end. Pretty and dainty, this is the perfect necklace to create a gorgeous summery look and will brighten up any outfit. Is attached to an 18" silver plated chain. Even though there are a lot of different gemstones on this necklace, the main one is the amethyst, the "Stone of Protection," which is a purple lavender color. It shields you from toxic energies while it clears your aura and helps to stabilize dysfunctional influences. Amethyst signifies strength and encourages a peace of mind that comes from total fearlessness.